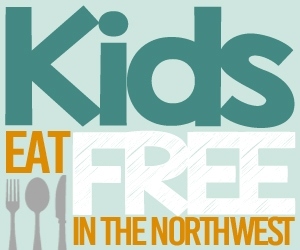 The Pacific Northwest is filled with many opportunities to get your kids out and active on a budget. At the top of that list are the many parks we have throughout the Northwest. These include National Parks, State Parks, Neighborhood Parks, Water Parks, Lakes, Skate Parks and more! Lets face it though, not all parks are created equal. Not every family is looking for the same thing in a park outing, and different parks appeal to different ages. Some are all day outings, and some are perfect for a short outing. Picnics are perfect for most spots, but we will do our best to provide affordable dining recommendations nearby too. We would also love to hear your thoughts and opinions on these parks. Please comment below with your review, additional tips, or anything else you want to add. If you have requests for additional parks that you would like to see reviews on please email us at [email protected] We are always looking for new ideas! Each week we post a Frugal Family Fun roundup, which includes each weeks best and most affordable entertainment and event options for families. Be sure to check that out for more ideas on what to do on a budget! There is water fun at the spray park, a huge separate playground area, a small museum, play fields, rock climbing wall and more. Mom and dad can also work out on the exercise equipment while watching your kids play! Parking is free, but can get tougher to find on hot days. There are public restrooms available onsite, and stores and restaurants nearby. The Water Park is open from Memorial Day through Labor Day. The playground and museum are open year round. 2 -12 (although there are sports fields and a rock climbing wall for older kids). Big Daddys Drive In on Auburn Way! Your standard (delicious) old fashioned burger joint. Don’t let the run down appearance of the place scare you off, their burgers are good. They make fried mushrooms (the only mushrooms my husband, who does not like mushrooms, will eat). My kids have not found a milk shake there that they do not like. Auburn Wa. You can find driving directions to the park here, and more detail about the park and location. Les Goves park is one of my kids favorites, especially during summer months. This is one of the few parks I would recommend driving out of your way to visit during the hot summer months, if you have young kids. 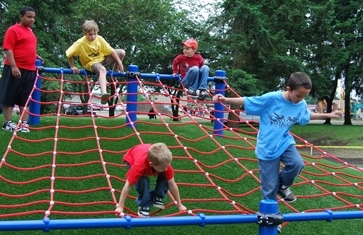 There is tons of fun for kids 2 to 12 years old, and you can easily make an entire day’s outing here. Les Gove is in the downtown Auburn area, and has both a spray water park and separate play ground area for kids. I think that the water park and play area are two of the best free parks, that my family has enjoyed. The water park has plenty of spurting spouts, built in super soaker type water shooters, spray pools and more. There is a grassy area surrounding the water park to easily set up camp with your towels and blankets. The water area has been a bit slippery at times (my little one fell more then once). Minus the slippery issues its a great spot for kids to cool off and play in the water for quite awhile. I can confirm, it was a park with fun for all. We had kids with us ranging in ages from 2 to 12 and all had fun (it was more of a stretch for the 12 year old to stay active though). 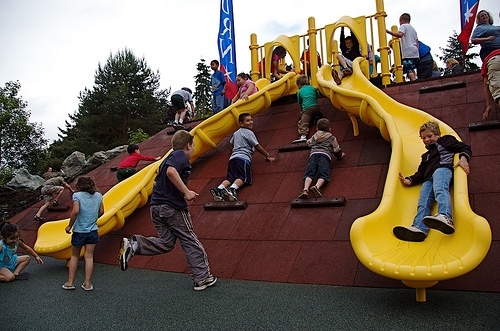 There are climbing walls and winding slides, a huge sand play area, modern versions of teeter totters, saucer swings, an in-the-ground merry go round, climbing rope web and more. It is all built on soft foamy rubber, so there is less concern of injury for your kids while they are playing. One of my favorite features of this park is the layout. 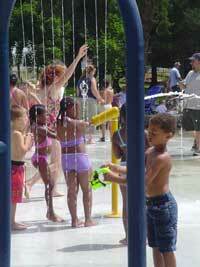 There are shady spots or sunny spots in both the water park and playground areas. 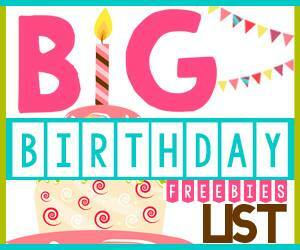 There are also tables available to sit, and lots of grassy areas to set up your own chairs or blankets. 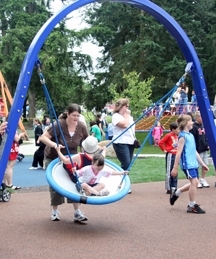 Most of the surrounding grassy areas provided easy visual access of the playground to watch your kids from. The park is also monitored by video surveillance, which hopefully lends to more safety for the kids playing. There is even a line of exercise equipment that mom and dad can use while watching your kids play (if you can get it from the kids who still love to climb on it, even with everything else to do at the park). 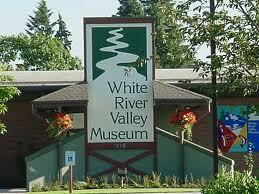 In addition to all of this park fun, there is also a library, sports fields, Parks and Recreation Administration Building, Senior Center and White River Valley Museum (admission is $2 for adults, $1 for kids but Wed. and 4th Sundays are always free) on site to visit and entertain the kids with. The museum is a great stop to make, especially on free days. Its small, but very experiential. We did the whole museum in about a half an hour, and that was with young children in tow. There is an old Train car the kids can climb into, a replica of old downtown to wander through, and other fun exhibits. You can make an entire days worth of fun here, or stop by for just a short while. You can pack a lunch, bbq on site, or eat at a nearby spot (see above for my recommendation). My favorite part about this park is the variety of things to do for the kids, all in one location. We love this park! I discovered it last year and we visited several times. I have a 2 1/2 year old who was just under 2 at the time of our visits. You are very right, the spray park can be very slippery. My son wore rubber soled sandles and still slipped a few times. I would highly suggest those water “socks” with the textured soles, I think those would help a lot. Also be aware that many summer camp programs visit this park and at times, it was a problem for me. The kids in the camps are sometimes much older (10+) and because there are so many, it is hard for the camp counselors to keep a good watch on them. Because of this, they would run around the spray park and not watch out for little ones. There were many times I saw little kids getting trampled by the big kids. I found that if you arrive first thing in the morning, you will find a much better spot to sit and your smaller kids will have more reign in the spray park. Also, I think around 2-3pm it quiets down more too. The actual parking lot does fill up fast like you said but there is a field to the south of the park that is always open and never full. I can’t wait to see what other parks you review! Great info Tami, thanks for sharing these tips. I forgot about the second parking lot – so that is really helpful for folks to know too!